How often do you call a business directly to make a purchase? Well, there was that time when you called the real estate agency that sold you your first home, right? Oh, and to think of it you called the company that ripped up those ugly carpeted floors and replaced them with the flawless wood that you’re consistently getting compliments on. To think of it, just the other day, you called the hotel in Austin to secure your reservation for your upcoming business trip. Okay, maybe this doesn’t sound like you at all? You rent, you aren’t interested in “flawless wood,” and the farthest you’ve “traveled” for business was when you biked 20 minutes to work this morning. Regardless of your living situation, you likely use the phone to make purchases more often then you even realize. Well, guess what? Your customers do too. Phone calls are a critical component of gaining new business for a variety of companies across multiple industries. In fact, calls are the most important lead type for many businesses, often worth 5-10 times as much as form-fill leads. Another thing these phone-friendly industries have in common? Many of them are using paid search to gain traffic to their websites, which often is what leads to these calls occurring in the first place. Still not convinced? Forty-three percent of all search-related conversions happen over the phone, and 65 percent of businesses consider phone calls to be their most valuable, highest quality source of leads, according to AdInsight. However, there’s one major issue with calls coming from paid search campaigns: They often go untracked, which greatly undervalues the impact PPC is having on leads and conversions. Without call tracking data, marketers are being left in the dark in terms of which keywords, ads, and landing pages are the main drivers of calls, and this leads to uneducated decisions in terms of PPC strategy. Without effective call tracking, advertisers are likely to lose a huge chunk of phone call conversions because they simply don’t know where to focus their time and resources. They can’t put more budget into the keywords that drive the most calls if they don’t which keywords they are! Luckily, there are tools available to advertisers to track these phone calls (which I’ll get into later) and make smarter marketing decisions, but how do you know if it’s worth the headache? Are phone calls actually that critical to your business model? If you fall into one of the 10 industries below, then the answer is YES! Think plumbers, painters, landscapers, cleaning services, flooring, windows/door installation, you get the gist. If your line of work falls under the home improvement category, you should absolutely be tracking calls because you likely receive a growing stack of them each day. Imagine your prospect needs to install a new sink: they probably search for “sink installation service” or “plumbing service” on Google, click a few ads to compare (keep in mind they may not even realize the results they click are ads), and then called up the service of choice to schedule a time to complete the installation. This is a common conversion path for these types of requests because if you’re entrusting a person to come to your home to fulfill a service request, there’s planning involved that is most efficiently done over the phone; therefore call tracking is a necessity! You want to be sure you know which keywords, ads, and campaigns are driving the calls that convert to new clients. Check out the example of a local plumbing ad encouraging phone calls. Back in college a girlfriend of mine from Hawaii chipped her front tooth on a beer bottle. And I’m not talking about a small chip. Let’s just say it was bad and noticeable. Understandably, she was in a hurry to get this dealt with, but with her dentist being in Hawaii, she wasn’t able to travel from Connecticut to see her. So, as one would expect, she did a search to find a local dentist, visited their website, and called to discuss the incident, ensure they took her insurance, and schedule an appointment. Once her tooth was fixed, she loved her experience so much that she ended up using the local dentist for cleanings for the rest of her time in school. This isn’t uncommon – often people don’t visit a dentist until an emergency comes up. If you’re in the industry, you need to be prepared by being visible on Google and having a strategy in place to capture phone calls, because website conversions are much less common. People need to call to work out details like insurance, ask case-specific questions that likely aren’t covered on the site and book appointments. Check out some example ads below. Law is not an easy field to be in. There’s an insane amount of competition on the SERP’s, each click is expensive, and each phone call is very valuable. It’s your chance to get a new client that could result in boat loads of profit for the business. Legal services are expensive, so factoring in the ROI for each conversion, spend can be worth it if you’re getting the high return. The problem is law firms often give up on paid search because they’re not tracking calls, not seeing return from it, and feel like they’re just letting money run away. Often, this isn’t the case. 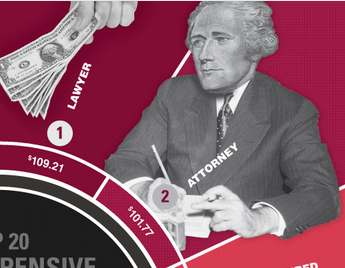 Lawyer and Attorney are the two most expensive keywords on Bing! A past client of mine who didn’t have call tracking came to me in a pickle as to why he only saw three total conversions from his top priority search campaign. As I looked through the data I found that in addition to those three conversions, he received 30 extra calls from click-to-call, but these weren’t being tracked as conversions. Once I pointed this out, the client knew what he had to do. Start tracking phone calls! 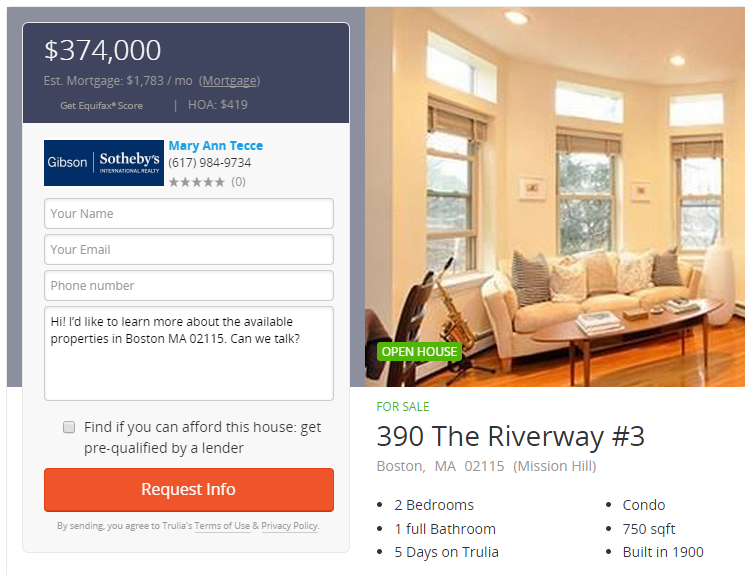 Looking to rent a new apartment or even to purchase a new home? I can guarantee that you won’t be hopping on Google and hitting “buy now.” Living is a huge life decision and expense, not to mention purchasing a home is often the biggest investment one may make in their lifetime. We all know this, but it goes to show how conversions aren’t going to happen online. They’re just not. If a searcher is seriously interested in moving or purchasing a place then they’re going to make a phone call to connect with the real estate agent. If you’re a marketer in this field, you might believe form fill-outs to be more effective, and they can certainly be a good way to capture leads, but calls are far more profitable. Where a form fill means “call me later,” a direct call means “close me now!” Which do you prefer? Hotel marketers are likely aware that phone calls are valuable for the booking process, but if they’re not tracking the calls coming in through paid search, their efforts are going to look somewhat pathetic. Personally, I can’t remember the last time I booked a hotel without calling them likely through a search for hotels in “insert location,” and then via browsing the site and using the phone number on their landing page to secure the reservation. Hotels have staff members dedicated to taking phone calls to book reservations so clearly calls are critical to the business, which means call tracking should be as well. 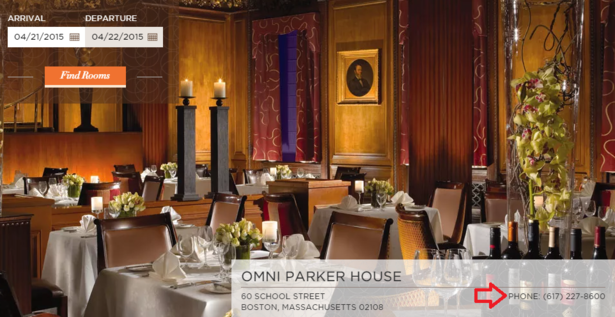 Check out the landing page from a Boston hotel below. They’re likely receiving several phone calls from clients visiting this page, but if they’re not tracking then the value of conversions will be lost. This also applies to the travel industry throughout the entire booking process. Think tropical excursions, vacation packages, yoga retreats…whatever it is you’re selling, phone calls are likely a huge driver of traffic and conversions so these activities need to be tracked. 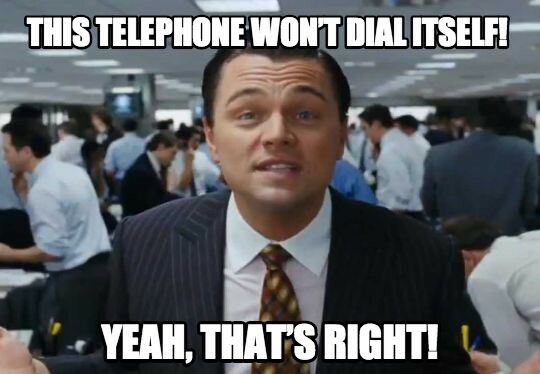 Working at a SaaS company alongside our sales team, I’m gravely aware of how often our phones are constantly ringing. Is this all attributed to PPC? Well no, but a good chunk of it is, which is precisely why we value call tracking data to make decisions within our own marketing efforts. I’m sure this is the case for several software companies with longer and more complicated sales cycles. When someone’s purchasing a SaaS platform it’s often a process involving several touch-points, but a phone call (or several calls) is almost always tied into the sales process. Think about it, one would not simply hop on the site and purchase – this likely isn’t even an option for many SaaS companies where deals need to be closed over the phone. Typically a lead is assigned to a sales rep who goes back and forth with them to evaluate that their SaaS products can meet the needs of that lead and vice versa. Conversations need to occur so the lead can ask company specific questions that can’t be answered online. When phone calls are such a critical part of sales process, call tracking automatically becomes critical. I must admit, I’m not an IT expert by any means, but at WordStream I’ve observed this to be a prime field for phone calls to occur. Why? Most likely because, similar to SaaS, the cycle is longer, products and offerings are typically more complicated, and there are company specific questions that need to be answered by a human over the phone rather than content from a website. So IT marketers, yes you do need to track calls in order to effectively evaluate and update your PPC campaigns. Education can come in so many forms – pre-K, elementary, middle school, high-school, college, grad school, continuing education courses, public vs. private, boarding vs. commuting. There are so many options, research is often heavy, especially when being done by a caring parent or guardian, and again sales cycles can be much longer and involve various touch points. Why? Because education is seen as the key to one’s future, it’s a life-impacting decision. There can be lots of factors when choosing a school – think location, tuition, guidance services, housing, extra-curricular, career counseling, disability support, and the list goes on. Again, this is another industry where phone calls are prevalent because there’s often missing pieces and case-specific questions that need to be answered before conversions can occur. Depending on location, competition can also be steep so education marketers need to make an impact with their paid search efforts, and in order to do so they must be tracking calls. I can’t say I’ve ever purchased a car, in fact I don’t even own one, but I can say that if I was in the market for one I would likely be making a whole lot of phone calls during the research process. The automotive industry goes far beyond car purchasing though. Think about oil changes, dents, engine problems, I’d go on and on but my automotive lingo is limited…Anyhow, with car shopping and automotive issues that arise as a car owner, searchers are going to call. Perhaps your muffler starts hissing uncontrollably or a mysterious light goes on in your dashboard, what would you do? Search on Google, find a car shop, and call to see if they can fix the issue and how fast they can do it. Phone calls are big, and if you’re in the automotive field, whether it be a body shop, insurance, dealership, etc. you must be tracking calls to get the most out of PPC. Last but not least we have the mortgage and loans industry. For most of us, managing our personal finances is complicated, and making wise financial decisions requires professional help. Especially when buying a house, paying for an advanced degree, or any other financial responsibilities that require borrowing large sums of money from the bank. Since discussing one’s finances is extremely case-specific and personal, this is an industry where phone calls are prevalent and necessary to gaining customers. So yes, industry marketers need to track calls or they likely won’t understand the value of their paid marketing efforts. Keep in mind, that even if your industry isn’t on this list, calls might be very important to your business, so don’t underestimate the value call tracking could have on your PPC strategy. So How Can You Track Calls? We actually have a solution for you here at WordStream that allows you to track calls back to the keyword, ad group, and campaign from where the call occurred, record phone calls, and evaluate if the calls caused conversions within your account so that you make more informed decisions when it comes to your paid search strategy. The average conversion rate for prospect calls is 25 percent, according to Marchex. So, what are you waiting for? Start tracking calls today to become the ring leader of your industry!